Jack is Special Counsel and a member of the firm's Health Care Group and Business Group. He focuses his practice on health care law and all areas of corporate transactions. Jack is a seasoned health law attorney, with over 20 years' experience serving in various in-house, senior-level legal positions within the health care industry. Most recently he was a partner and co-chair of Mirick O'Connell's Health Law Group. Prior to that he was Vice President and General Counsel for Salem Health in Salem, Oregon, a $700 million integrated health system. At Salem Health, Jack was responsible for managing all legal affairs as well as having oversight over its Corporate Compliance department. He drafted and approved contracts, managed the use of Salem Health's external legal service providers, served as the liaison to regulatory agencies, and provided counsel on all legal matters. Jack has held similar positions at Southcoast Health System in New Bedford, MA, Children's Hospital of the King's Daughters in Norfolk, VA, and Roper Care Alliance in Charleston, SC. He currently advises health care clients on regulatory, fraud, abuse, and compliance issues to ensure that contracts, affiliation and coordination agreements, and other business arrangements meet both federal and state statutory and regulatory requirements. Jack also advises clients on complying with the Stark Law, Anti-Kickback Statute, and HIPAA. 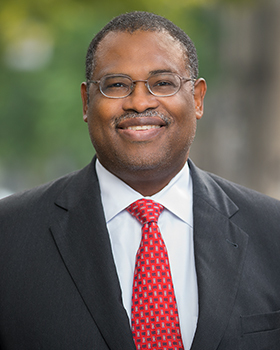 He also counsels clients with regard to Medicare and other payor issues, physician and medical staff matters, and Accountable Care Organizations. Jack represents a broad range of healthcare providers, including medical and osteopathic doctors; psychologists, nurses, dentists, and other allied health professionals; and complementary and alternative medicine practitioners such as chiropractors, acupuncturists, and massage therapists. His clients include hospitals, healthcare educational institutions, health insurance organizations, telemedicine providers, and entrepreneurs in the health, wellness, and lifestyle industries. Whether advising start-ups or established companies, he brings his entrepreneurial spirit and caring insight to cutting-edge legal and regulatory challenges. Jack served as an intelligence operative in the United States Air Force (1980-1984). Formed a solely owned captive insurance company in Bermuda for the Children's Hospital of the King's Daughters.